Summer is here, which means most of us are lining up getaway trips for the next few months. We asked two of the SM Youth ambassadors, Tommy Esguerra and Richard Juan, about their must-have travel items to get you started with your own list of summer essentials. For 24-year-old Esguerra, he admitted that he doesn’t believe in travelling light. As an influencer, he always brings different outfits whenever he travels. This way, he can make sure he has the right clothes for any type of occasion, just in case something unexpected comes along the way. “I’m sure it’s not for everyone, [but] I like to overpack,” he revealed to the members of the press during the SM Youth 5th anniversary celebration recently held in SM Mall of Asia. “I like to be more than prepared, because I hate it when I’m at the beach or on location somewhere and I want to wear some outfit and I don’t have it. That’s something so frustrating to me,” the “Three Words to Forever” actor explained. As social media influencers, staying connected with the world is vital for them. So it is no surprise that they can’t travel without their gadgets with them. “Chargers, number one. I can go on a trip with only a few pairs of clothes, but without a charger, no! I need to be connected. 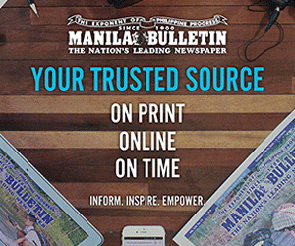 All of our work is through our phone, so without it, you’re just disconnected to the world,” Esguerra said. The two ambassadors, who are also close friends in real life, are planning to go on a beach vacation this coming Holy week break.